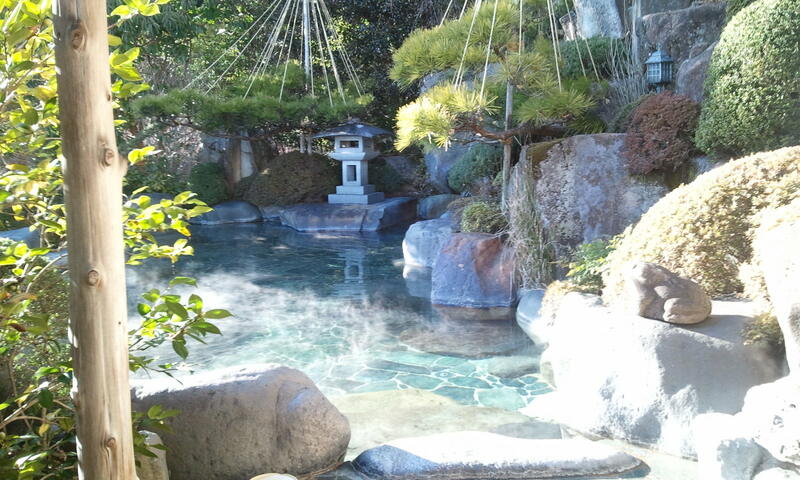 Gero has been identified as one of the top three hot spring towns in Japan due to its quality spring water—promised to keep your skin smooth and beautiful. Situated in central Japan, Gero City is part of Gifu Prefecture, and easily accessed by train from Nagoya. Yunoshimakan is a traditional ryokan (Japanese-style inn) hidden high in the hills of Gero. 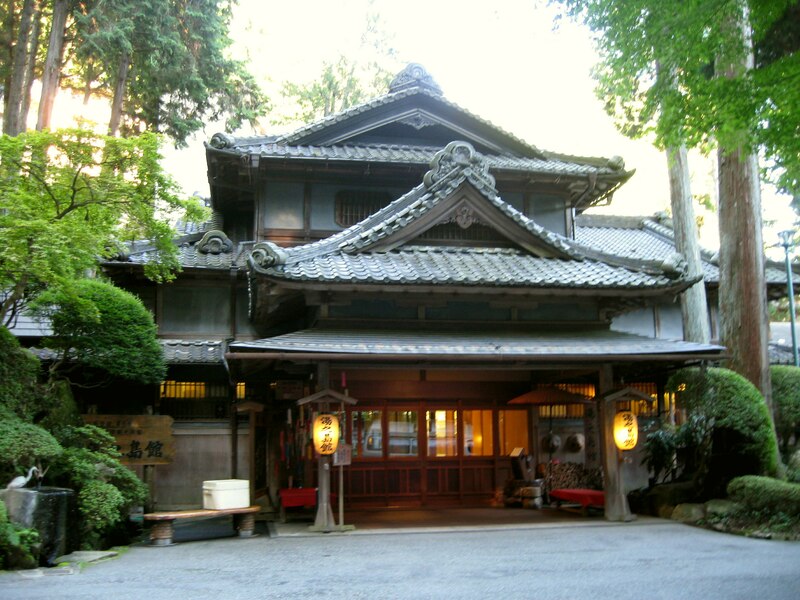 It was built in 1931, and has a long history behind it, with the breathtaking traditional architecture adding to the authentic ryokan experience. To access Yunoshimakan, you can take a 15- to 20-minute hike up the slope or take the shuttle service up from Gero Station. If you inform the staff of your arrival time, you’ll be welcomed with signage for the ryokan as you come out of the station. There are various room types to suit your budget, starting from a basic room in the main building at ¥15,100 (US$141) per person (with an early bird special). If your budget allows, opt for the rooms with private baths starting at ¥16,500 (US$154) per person. There’s the option of an indoor bath with windows that can be opened to the outdoors, or a proper outdoor bath, which costs slightly more. During winter, the indoor bath is probably a better option, since you can open the windows to get a full view of the falling snow. The temperature of the water can be adjusted from 30 to 50 degrees Celsius (86-122°F), so if you go for around 40 degrees you may even feel cold in the winter! The bathroom is equipped with quality toiletries and facial products by Shiseido, allowing you to further pamper your skin before and after your soak. The Place is a Maze! 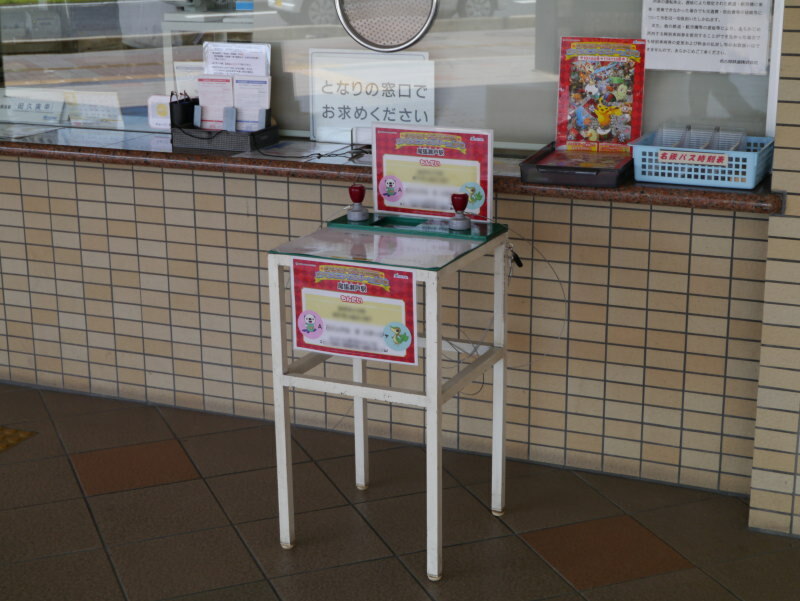 To encourage visitors to explore the ryokan, there’s a stamp challenge whereby you can collect stamps from various places on the premises—if you find them! Yunoshimakan is a huge place, and can definitely be a maze for first-time visitors. For instance, to get to the public, bath you have to head up a staircase, walk a short distance, head down another staircase, walk along a line of guestrooms and go down another staircase! Signage is available along the corridors, so just follow the directions indicated and you’ll be amazed how big the place is! 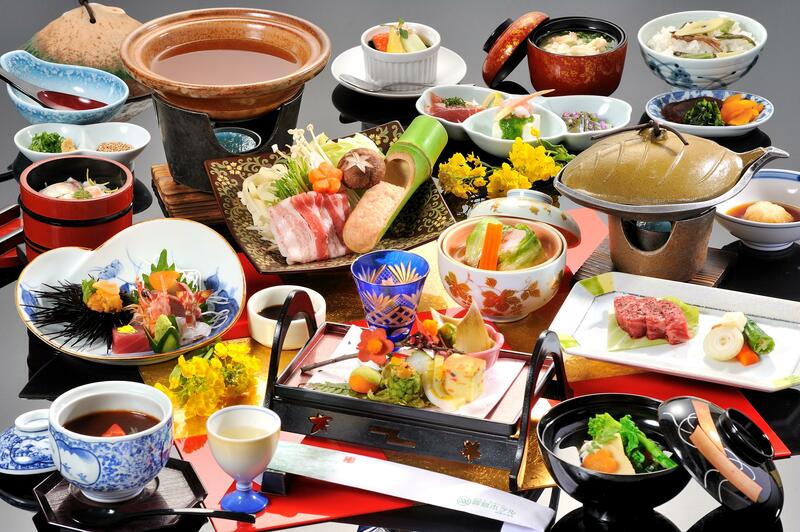 Kaiseki is a traditional multi-course Japanese dinner that you can look forward to enjoying in the comfort of your room. Dinner is served between 5:30 and 7 p.m., and you can inform the staff of your preferred timing. After 7 p.m., dinner will be served in the restaurant, though this isn’t a popular choice unless you’re back late. With the in-room dining, the staff will present the dishes to you in different stages. The staff speak basic English, and they will explain the different dishes when serving them. The selection at dinner, from river fish to Hida beef, will leave you satisfied and looking forward to breakfast the next morning! The banquet hall is on level eight in the ryokan’s elegant yet simple new wing. 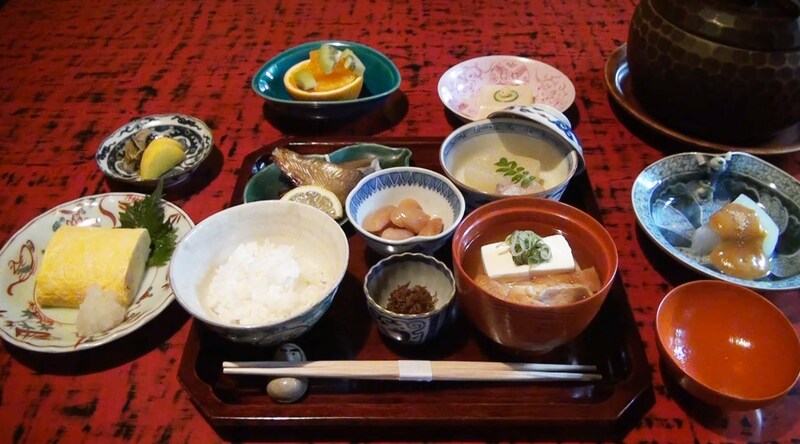 Japanese breakfast is served with some appetizers, eggs and rice. Complimentary coffee is available outside of the banquet hall, where you can also relax on the couch and enjoy the surrounding views from the wide windows after your meal. After breakfast is a good time to take a walk around outside the hotel to admire the fine architecture of the building. Though the price may be slightly steep compared to other hotels in Gero, this charming and magnificent ryokan, with its in-room kaiseki cuisine, is a great excuse to pamper yoruself.